Features a large metal handle with rubber bushing. 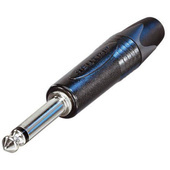 Compatible with cables with a maximum diameter of 6mm. Designed for use with the PX series professional phone plugs. 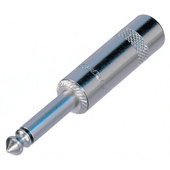 Features a long polished diecast handle with no rivet. Designed for C series professional phone plugs. Comes with two NJ3FP6C 1/4" female locking jacks. Features a large shell for a speaker cable.